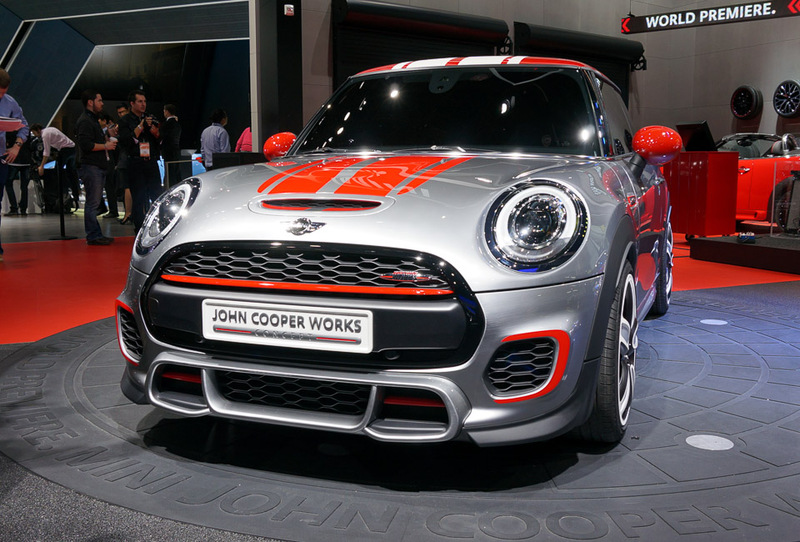 MINI showcased its new John Cooper Works Concept at the 2014 North American International Auto Show and, from what we saw, it’s a car very worthy of the JCW badge. 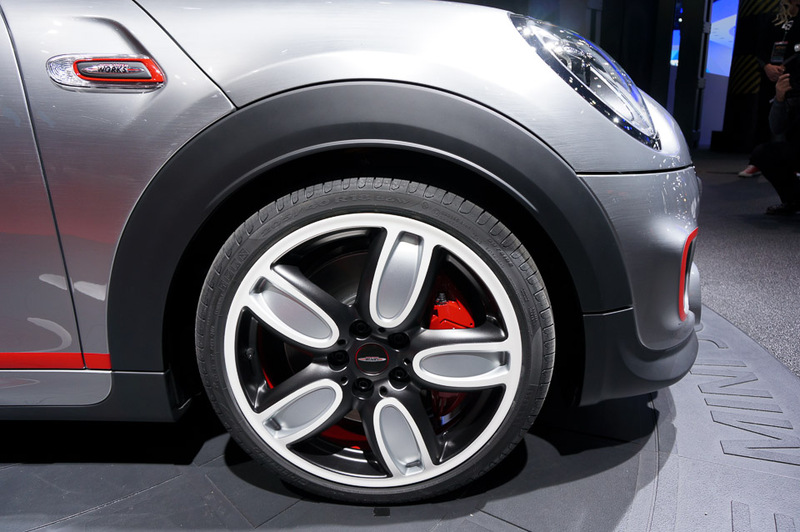 The JCW comes with a Bright Highways Grey finish that resembles brushed aluminum, bold Chili Red accents and striping, and 18-inch John Cooper Works light alloy wheels that are striking in person. 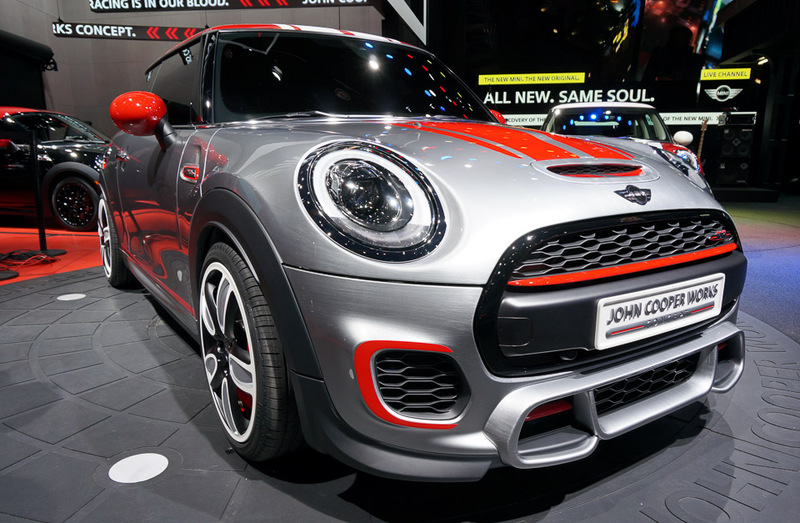 This version of the JCW is based on the latest generation MINI, with a slightly longer wheelbase and wider track than the previous model. 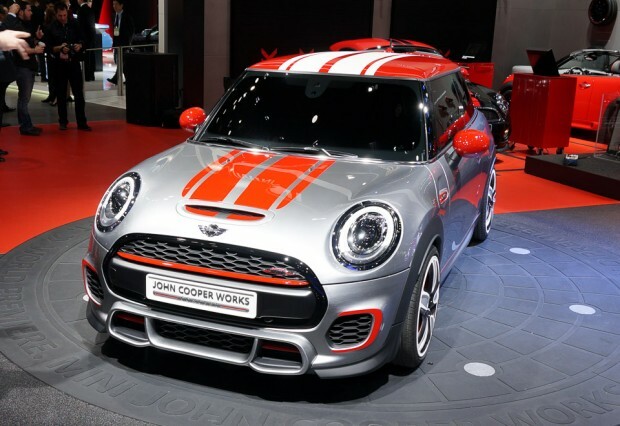 Designed to be MINI’s premier sports model, the vehicle includes many distinctive design characteristics to make it look and drive fast. The MINI JCW Concept also shows off large air intakes where the fog lights would normally be, LED headlights, a black surround for the grille, an aerodynamic kit specific to the model with countered side skirts and a rear apron. MINI has also added a large roof spoiler and body components to efficiently channel air around the C-pillars. 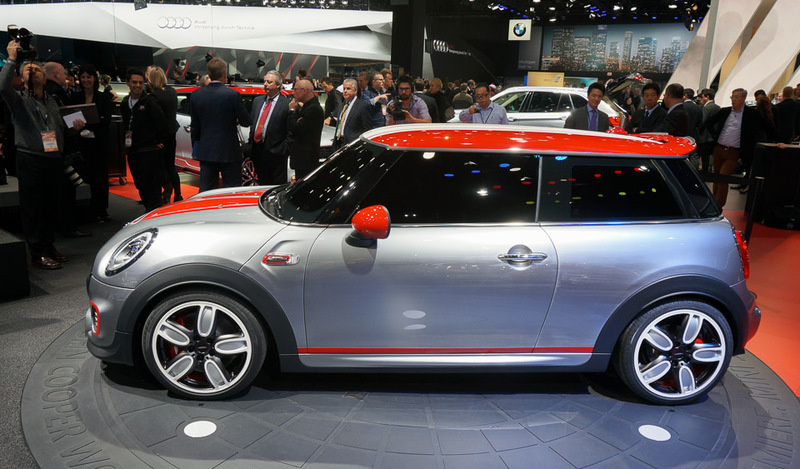 No word yet as to whether or when this car will hit MINI showrooms, but the concept sure looked close to a production vehicle when we saw it on the show floor.